Cawley’s Guesthouse offers a bright and airy restaurant overlooking the colourful walled garden and an inviting bar, both serving the best of local Sligo ingredients and food. The best quality Irish beef from our two local Tubbercurry butchers and fish, oysters and shellfish delivered fresh from Killybegs, Co.Dongeal feature amongst the most popular dishes. Gluten and dairy free options are available on all our menus. 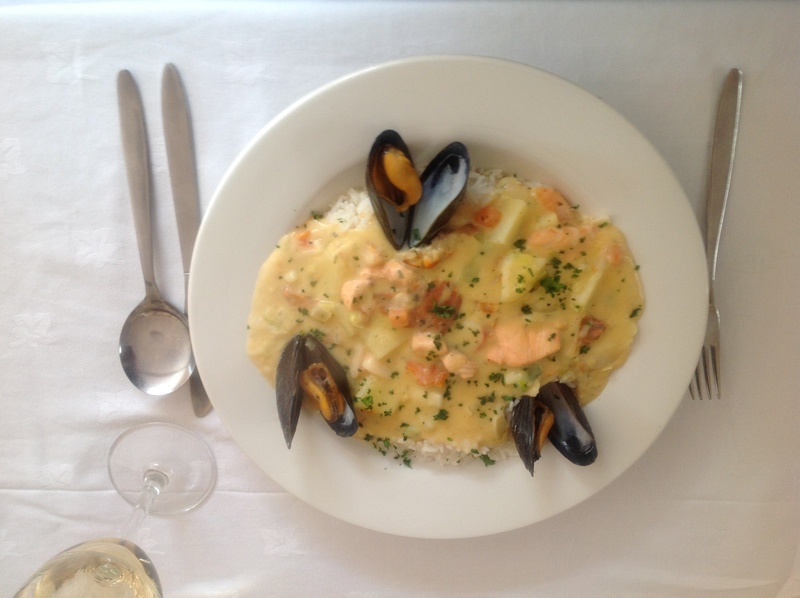 Our traditional Irish lunch menu changes daily. 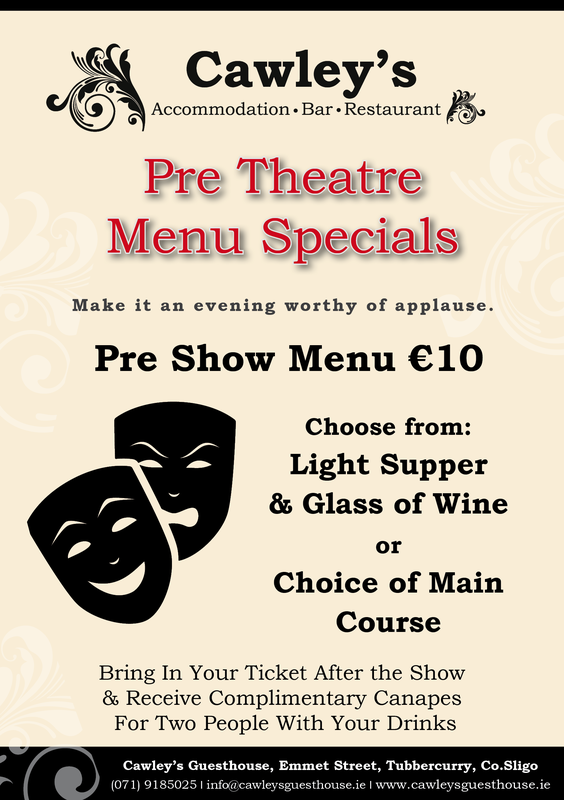 In the evening Irish and Continental “a la carte” and bar food are available. Special dishes can be served if requested in advance. Our restaurant offers healthy option children’s menus including homemade Chicken Gougons, Steak Burgers and Pastas. Our meals are available for take away and we cater for outdoor parties in your home for your special events. Gift vouchers available, please ask a member of staff for details. Breakfast served daily 9a.m. – 12p.m. Lunch served 12 – 3p.m. Monday to Saturday and 12 to 5p.m. on Sunday. Bar snacks served 3 – 6p.m. Dinner served 6 – 9p.m. Monday to Saturday, 5 – 8pm on Sunday. Sunday lunch served 12 – 5p.m. Special Family Chicken Platter €30.00 (selected Sunday’s, visit facebook for details). Platter includes Whole Irish Roast Chicken, garden herb stuffing, roast and creamed potatoes and vegetables. Suitable for 2 adults and 2 children. Reserve before 11a.m. on Sunday as platters are limited. 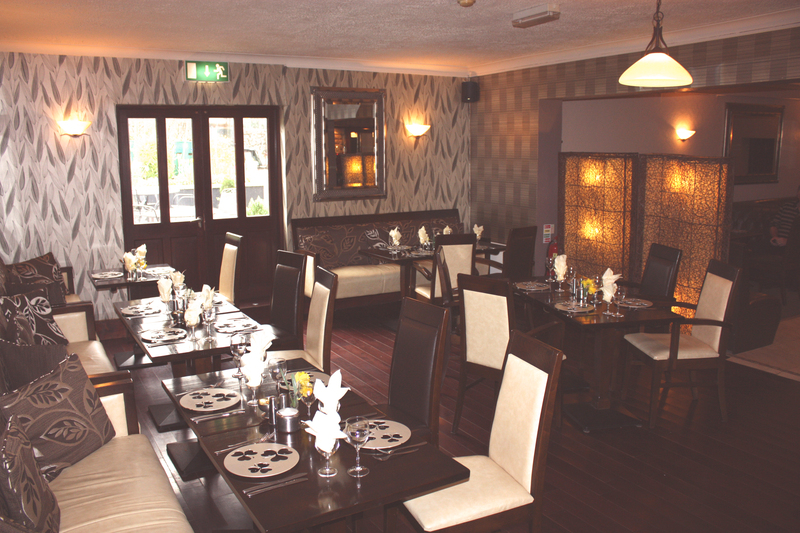 A large choice of menu options are available and menus are personalised for all your events and family occasions. 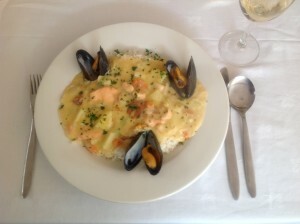 For more details on Cawley’s Restaurant visit our menu page.